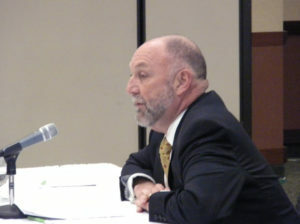 ISU President Steven Leath talks to the Board of Regents. The Iowa Board of Regents accepted the apology of Iowa State University president Steven Leath in the airplane controversy after hearing a report Monday on an audit of Leath’s use of university airplanes. Chief auditor Todd Stewart told the Board of Regents they attempt to report whenever they determine there is a clear violation of university or board policy and many times there are “clear-cut, black-and-white determinations, in still other cases, they enter shades of gray.” He says Leath’s use of university aircraft had at least a few instances where it fell into the gray area, though most were entirely business related. Stewart says they did not try to make any as to whether Leath’s use of the planes for trips and to train to gain his flight status was legal, but they did make several recommendations in the report on how to clarify the policies of the university. Leath spoke to the board after they heard the audit. “I want you to know I take seriously my responsibility to adhere to university and board policy and I try to be open and transparent. As the preliminary audit and this now comprehensive audit has now confirmed — I did not violate any policies or break any laws — but I realize that that is not enough, that is not good enough,” Leath said. His voice cracked as he continued with his statement. “I love this university and Janet and I have immense respect for the university. I’m really proud of the success we have had over the last five years. Student demand is at an all-time high and our alumni and friends are really supporting the university like they never have before,” Leath says. “But what is most important to me is that I lead the university with integrity.” He talked more about the integrity issue. “I can tell you now that I regret any actions or decisions that called my integrity into question or damaged the reputation of the school,” Leath says. The issue came to light when it was revealed that a university plane Leath was piloting was damaged in a hard landing as he stopped to refuel. It was later revealed that he had picked up a family member during a fueling stop on the way to an ISU basketball game. Leath told the board the school has taken steps to improve its practices and clarify its policies regarding the flight service. He says he announced on September 26th that he would no longer fly the Cirrus or any state airplane. He says the head pilot is in phased retirement and that means they would go from four people who fly the Cirrus to two, and they have decided to sell the plane. Leath says they will fully review this latest audit to see that they are taking all the proper steps. 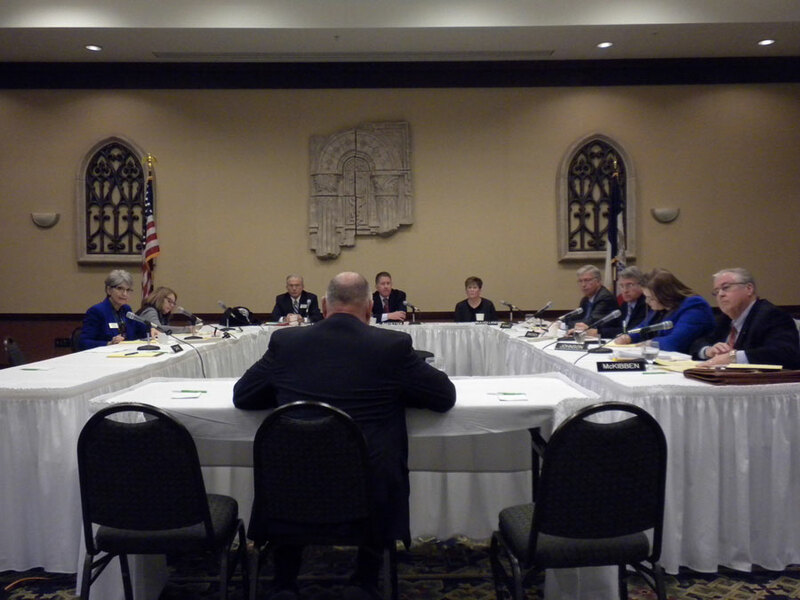 The Regents went into closed session to discuss what they heard in the audit and from Leath. Regents president Bruce Rastetter of Alden spoke with reporters after the closed session and says their action now is to tighten up the rules. 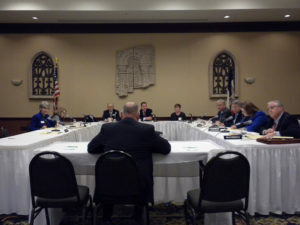 “Clearly the board is intent as you heard today, and the university is, in tightening those rules and making them clearer so that we don’t have those issues again. And in acknowledgment of that, you’ll see that happen,” Rastetter says. Rastetter says Leath acknowledged his mistakes, has written some $19,000 in checks to the ISU Foundation, and they want to move on. “I think one of the challenges with this for all of us is that there is a lot of important really good things happening at the university. And to have this deflected and attention taken away from those and the attention from president Leath taken away from his main job — which is to govern a one-point-three-and-a-half to four-billion-dollar university that has a lot of really good things happening– is a huge distraction. And we want to make sure that we put that behind us,” according to Rastetter. The audit found that the budget for ISU Flight Services was $394,000 before Leath took over at the school in fiscal year 2012 and went to $880,000 in fiscal year 2016.